For many years the Volkswagen Beetle was a typical student car, and like most student cars, they have a reputation for not being the most reliable vehicles around. Of course, students might have conveniently used the "my Volla broke down" line as an excuse for not attending lectures... and for only being able to get as far as the nearest watering hole. Be that as it may, the Beetle holds many memories, both good and bad, for the majority of those who were at one time or another varsity, technikon, or college students. 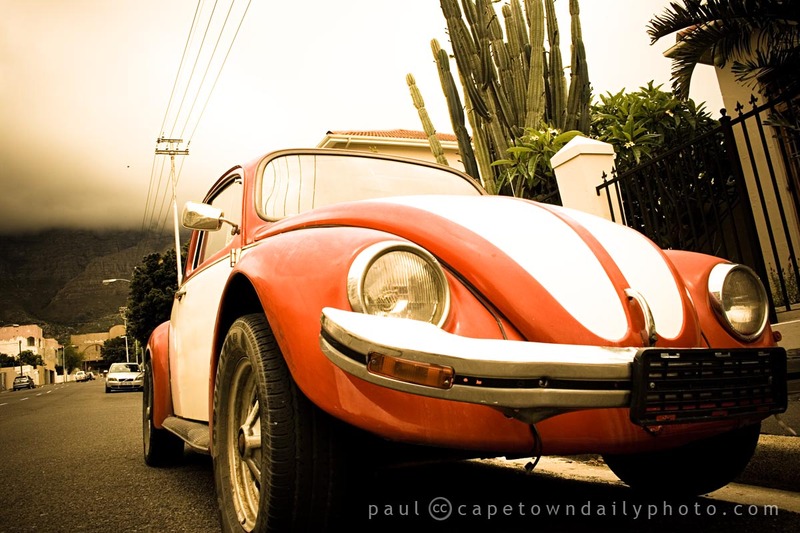 And, in case you were wondering, the title of this post makes reference to the Beetle as the Volla (pronounced for-lah) - an affectionate Afrikaans abbreviation for Volkswagen, and specifically this Volkswagen. Posted in General and tagged car, vehicles on Saturday, 26 December, 2009 by Paul. :) I had to say that out loud (volla) to understand how it would sound and then I got all nostalgic en alles. I have one more Redds sitting in the fridge… excuse me while I sip it and think some more of SA.